Completed pieces may be dropped off at the Office of Veterans' Services, 12 Emerson Avenue, Gloucester, MA. Call 978-281-9740. 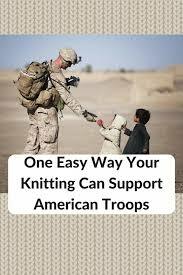 If you wish to knit 'beyond your pocketbook' there is some yarn available courtesy of non-knitters. Call the Office of Veterans' Services at 978-281-9740 for information.